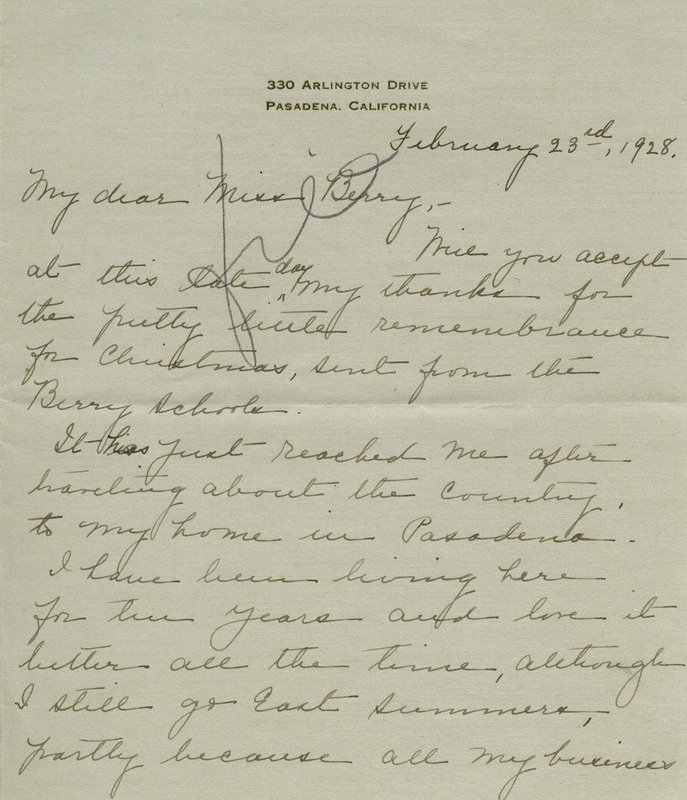 Elizabeth M. Berry sends her thanks for the rememberance of herself by the Berry Schools at Christmas time. 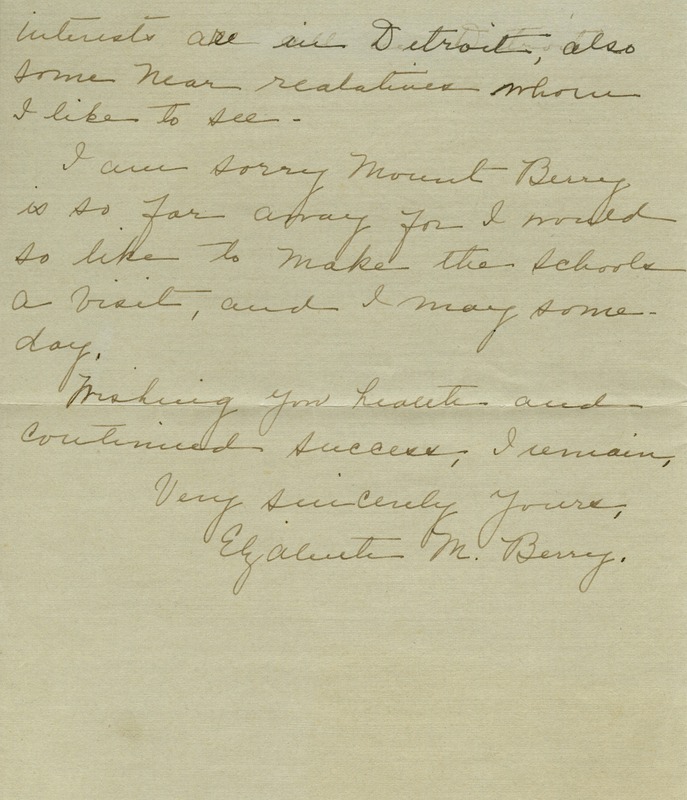 Elizabeth M. Berry, “Letter to Martha Berry from Elizabeth M. Berry.” Martha Berry Digital Archive. Eds. Schlitz, Stephanie A., Rachel Renaud, Kelli Kramer, et al. Mount Berry: Berry College, 2012. accessed April 26, 2019, https://mbda.berry.edu/items/show/6666.